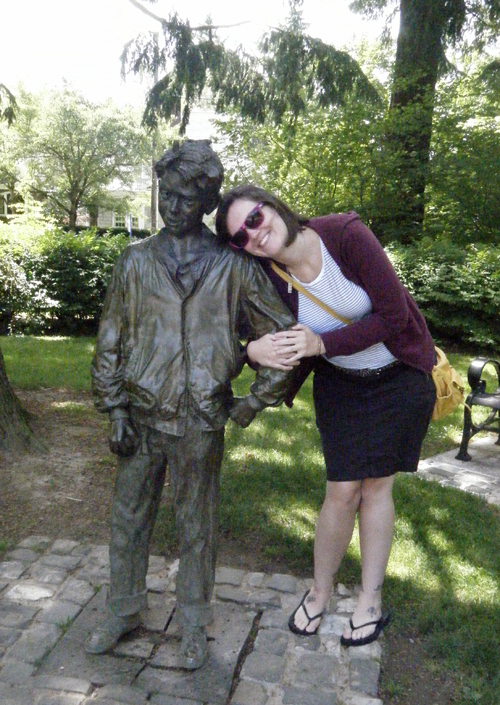 How I Feel About Books: Happy 100th Birthday, Beverly Cleary! Beverly Cleary's books were my favorites when I was a kid; they're still my "comfort food" of the book world. The stories of Henry Huggins, Ramona Quimby, and Otis Spofford pop into my mind more often than you think they would. I remember some of the exact phrases from the Ramona books I read and re-read as a child! In 2012, a friend and I traveled to Portland, Oregon. 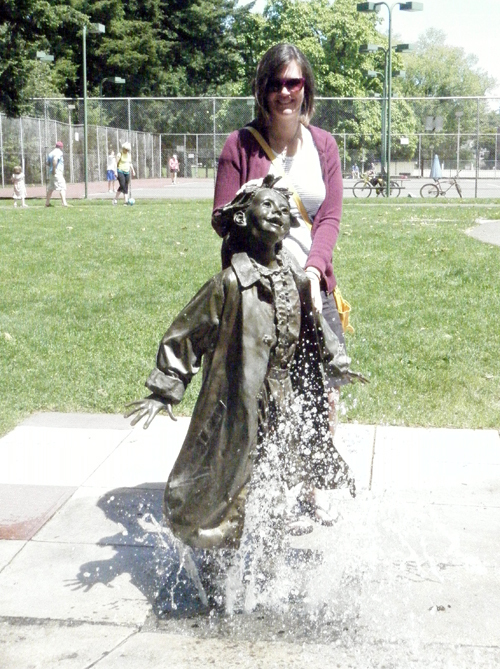 While we were there, we visited Grant Park, where a lot of Beverly Cleary's books take place. 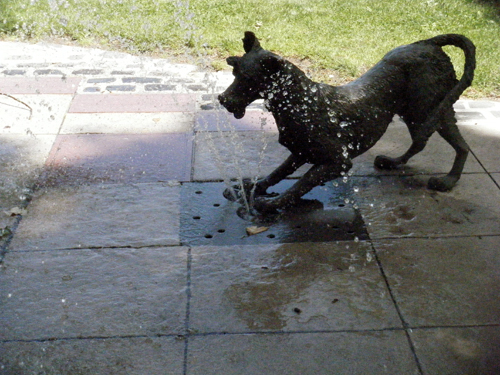 Grant Park is the home of the Beverly Cleary Sculpture Garden for Children, with statues of Ramona Quimby, Henry Huggins, and Henry's dog Ribsy. Check out more about Beverly Cleary's birthday from the author herself.